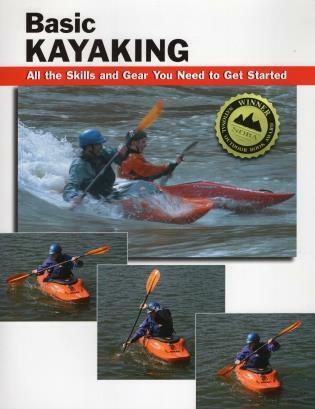 This newest title in Stackpole's Basics series takes on the wildly popular sport of river kayaking. Packed with information and featuring hundreds of full-color photographs and illustrations, it provides clear, easy-to-follow instructions on selecting gear, getting your boat on the river, and mastering fundamental moves. Also covered are the ferries, peel-outs, and turns required to maneuver a kayak in moving water. For would-be day-trippers, river-runners, creekboaters, and even those aspiring to the world of extreme rodeo playboating, Basic Kayaking is where the journey begins. Wayne Dickert is a professional kayaker and canoeist who competed in the 1996 Olympics in Atlanta. He is currently the manager of instruction for the Nantahala Outdoor Center in Bryson City, North Carolina. Photographer Skip Brown shoots outdoor sports and recreational activities for books and magazines. He is a Class V paddler, an advanced-rated hang glider pilot, and an accomplished windsurfer, snowboarder, and mountain biker. He lives on the Potomac River in Maryland with his wife and son. Roberto Sabas is a freelance illustrator whose work has appeared in various publications. He lives in Savoy, Illinois.